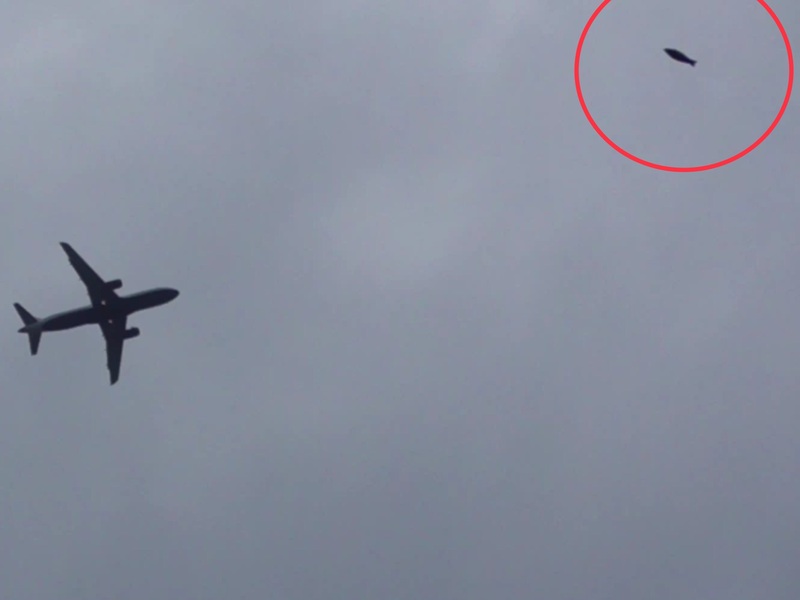 I was filming planes on their way to Heathrow and flying at approximately 1,500m when upon reviewing the footage I noticed a number of objects flying around them. I'd say a good 10% of planes had something or other flying by- usually small and dark going at about the same speed as the planes, sometimes elongated and going extremely fast. Then there are the truly amazing ones like these two that have strange crypto shapes. One looks like a bird but is extremely big, with a large white head totally out of proportion with the rest of the body. It moved in a very static manner. 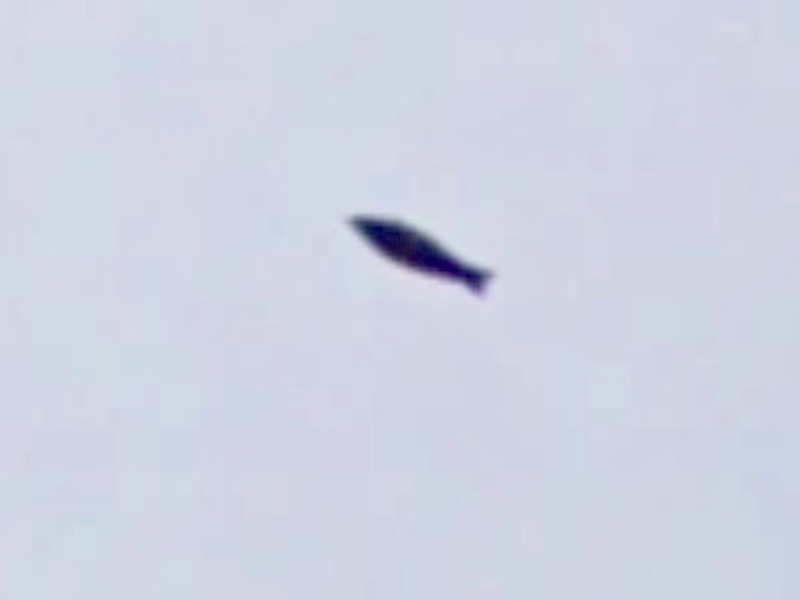 The second film shows very briefly a fish, or cryptoid of some sort, flying at great speed past another plane. I slowed down both films by 10x and blew up the objects. I’m still absolutely astonished that the authorities keep all this from the public: it’s impossible that they don’t know. 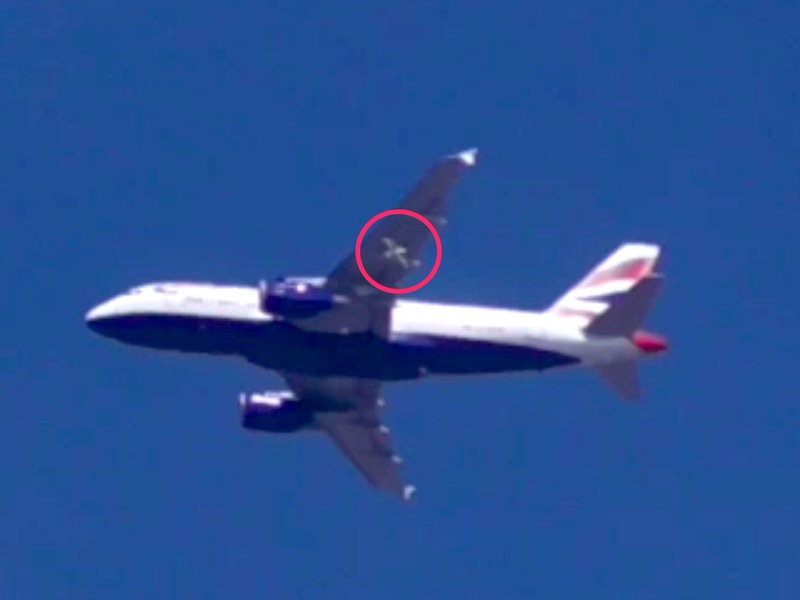 1 in every 10 planes I zoom on has something flying about- and I’m not talking birds or insects. When I first contacted you I remember reading one of your investigators stating that he shot a few pictures of a UFO on a coast where he resides and had seen several other objects: as if he’d gone out there in purpose to take pictures of UFOs: I thought it was a joke as - like everyone else until then - you didn’t go looking for UFOs! You were lucky if you ever got to see one by chance! Crypto 1 - flying fish - or balloon? Note how it powers through the air at great speed. Crypto 2... a humble bird? This 'bird' is enormous when referenced to the plane; it doesn't flap its wings, or have them folded back in a gliding mode - ''they' (these supposed wings) are outstretched. Strange shape overall. BEAMS Comment: Fly at your own risk! 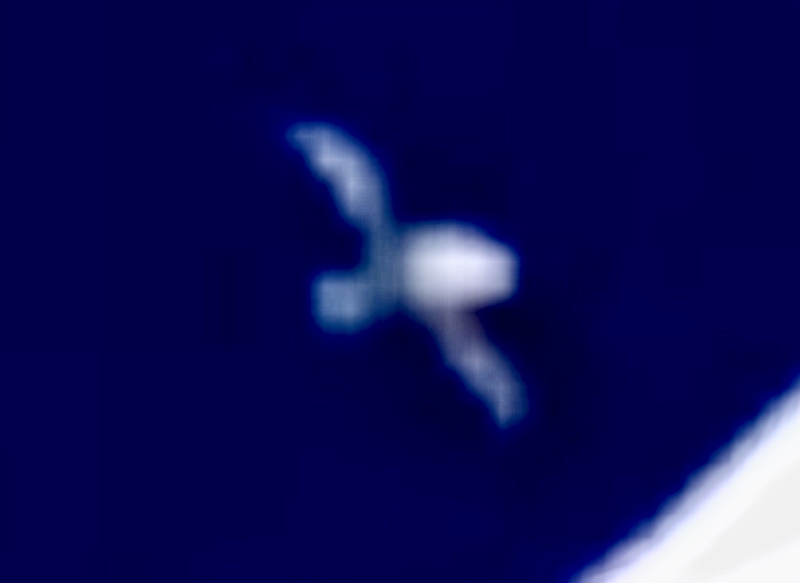 Once again one of our investigators has captured some very important evidence here... REAL News, not the sanitized garbage you see on Sky News and similar... what appear to be bizarre flying creatures of some sort... energy creatures? Cryptoids? UFOs? yes, 'Unidentified' and 'Alien' to our understanding? yes... and a danger to our air traffic? 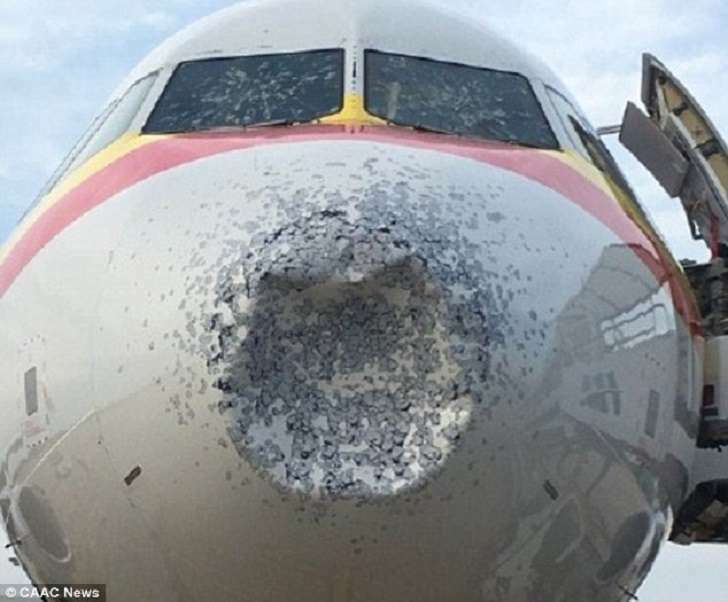 most probably; next time you here of a jet airliner forced to make an emergency landing (with ATC giving a cover excuse for doing so of course) think-on what you have read here. There are just too many strange things that have been captured around planes to carry on denying this problem. 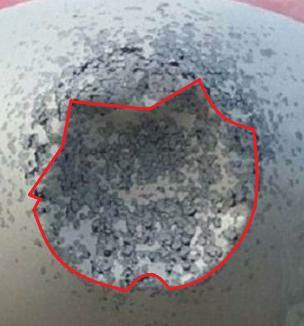 If hailstones was the cause of the damage (as stated) wouldn’t impacts from hailstones – whether it be large lumps, or hail on mass cause circular damage, not angular? As for leaving either a thumbs up or down on YT... that's up to the viewer; we expect this to be a bit like Marmite - you'll either love it or hate it.